Wow! 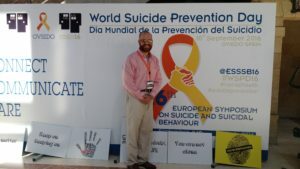 The 16th European Symposium on Suicide and Suicide Behavior in Oviedo, Spain was such an amazing experience! 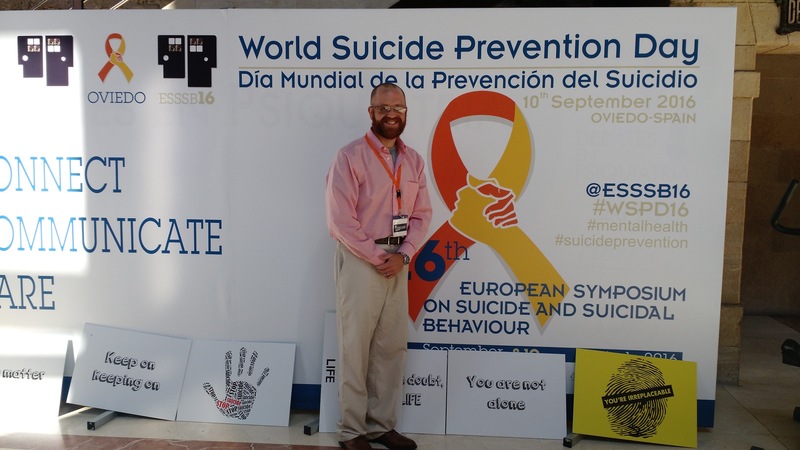 Researchers and clinicians from all over the world met to discuss, share, and collaborate with one another in an effort to reduce the incidence of suicide. The opening ceremony began with a realization that every 40 seconds a life is lost due to suicide. The ripple effect from each of these events led to an acknowledgement that nearly all of us have lost someone to this terrible tragedy. As both a clinician and researcher I was struck with this thought for perhaps the first time; and suddenly the reason people avoid the topic of suicide became so intensely clear… We avoid talking about suicide because we have been affected by it in some way. Perhaps, even while reading this blog, you are reminded of a friend or family member you have lost. Let’s face it, we don’t enjoy being reminded of these tragic events. However, I believe that we have an obligation, to the ones we have yet to lose, to understand suicide more clearly so that we can develop better, lifesaving, interventions. We can better honor the ones we have lost by openly discussing their lives, and the factors leading to their deaths. I wanted to share three quick thoughts I have gained from my time in Oviedo. Suicide is not a spontaneous decision, and is typically the result of meticulous planning. However, the act of suicide happens in a single moment. One of the most effective things you can do to help someone who is contemplating suicide is to ask for more time to get them some help. The vast majority of hospitalized suicidal patients report they are glad they did not complete their plan. Individuals who attempt to end their own lives often feel as if they are not understood. In other words, they feel lost in the crowd. By being present in the life of others, you are telling them that they matter. We can all appreciate the feelings we have when we are noticed by others. Have you let the people around you know that you see them? You may save their life! Too often we have concerns about others and never make our concerns known. If you suspect that someone is considering ending their life… ASK! Asking if someone is suicidal does not “put the idea in their head”, nor does it make your relationship forever awkward. If anything, you are communicating that you care about them and are concerned for their well-being. This is increasingly true for young people, who often report feeling worried about “telling” on their friends. Parents and educators have an especially important role in teaching children how to respond to a suicidal friend. As we take part in suicide awareness month, it is my hope that we can both honor the lost while better preparing for the future. If you are someone who is considering suicide, I beg you to reach out for help. You are not lost, and I want you know that we see you. I had the privilege of meeting hundreds of people while in Spain who are working diligently to help YOU! Give us a chance to make a difference! Today, September 13th, is my third birthday with no birthday card. No phone call with a teasing, humorous Happy Birthday song, no Facebook post with an embarrassing picture from when I was little, nothing. This is what my birthday will look like for the rest of my life, because I lost my brother to suicide. Now, I will get an abundance of phone calls, texts, cards, and Facebook Happy Birthday messages that are graciously appreciated. But the one I don’t get, leaves quite an impact. Life is too short to begin with, please don’t make it any shorter by making the choice to end it. You might not have thought of this, so let me say it to you now. Your sister, your brother, your father, and your mother will miss the birthday cards you won’t send. They will miss the phone calls you don’t make. They will miss the hugs you’re not around to give. YOU WILL BE MISSED! Oh, and don’t forget your grandparents, aunts and uncles, cousins, nieces and nephews, friends… This list goes on and on. Although it’s been over 2 years I still find myself wanting to tell my brother about something that happened, and having a wave of sadness come over me when reality hits me that I can’t. When you choose to leave this world, you are creating a mountain sized hole in the hearts of those who loved you. Do you realize the pain it would cause? Do you realize the effect it will have on your loved ones? Losing my brother to suicide has been the absolute hardest thing my family has ever gone through. But you know what? We are better people for having gone through it. Although I wish I had never experienced this tragedy, I am grateful for how it has impacted my life, and the lives of my family and our friends. I don’t take my family and friends for granted, that’s for sure. When is the last time you told your sibling you loved them? When is the last time you hugged them? Can you remember? I can’t. My brother and I fought like cats and dogs growing up, and it only got somewhat better as we entered our 20’s. When’s the last time you yelled at, hit, or said something unkind to your sibling? I was with my brother for most of the day before he decided to end his life. No punches were thrown – that day – and no harsh words were shouted, but that doesn’t mean nice words were exchanged. Does it seem silly to you now, to get upset over something so small and trivial? I hope it does. As a sister who no longer gets to hug her brother, or tell him she loves him, it drives me nuts to see siblings fighting with one another. Your siblings are the only friends you have that are with you your entire life! Why would you waste that? Be kind to one another. Would my having been kinder to my brother maybe saved his life? Who knows? But at least then, the thought wouldn’t have crossed my mind. Is it something you really want to live with on your heart? If you are fighting with a family member, please make up. Life is too short. Do you really want your last words they hear from you to be unkind? If you are going through a hard time and feel like giving up, please read through this one more time. If you took a minute to think of all the ones you would leave behind, whose hearts would ache for you, wouldn’t that make a difference? I hope it would. I hope you realize how important you are, and how loved you are. Do you really want your sister to be crying over the birthday card she didn’t get from you? …………I’ve come to realize a lot of things here, I have a lot of work left to do, but I’ve realized that I can’t ever run from this. I’ve realized the thoughts that were in my head in recent weeks don’t have to come to fruition. I’ve seen that the feelings don’t have to rule my existence. I’ve learned that there is no despair deeper than what we create for ourselves. The past is simply the past and no amount or type of emotion can change that. We have to accept it and move forward making a better future for ourselves. I realized that there is a way to heal and a way to find peace, self compassion and self love. It takes time and it takes work. I’m glad I did this on my own terms, it had a high price in many ways, but the difference in how I feel was worth the cost. I won’t miss the 13 hour days or the 6:00 AM wake up/work out but I will in a sense always miss this place and this time in my life. FDNY Firefighter 9290 A life, a moment in time, a man that captured our hearts who we will treasure forever! 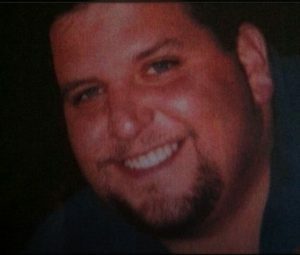 My brother Gary committed suicide on 9/25/2002. Gary had spent months down at ground zero after the tragedy of 9/11. He had a passion and love for his job like no other. He had lost so many of his best friends and brothers that day and we all knew how devastated he was by their deaths, but never did we think he was capable of taking his own life! He never talked to us about what he had experienced. I asked him once the May before his death and his reply to me was … Don’t ask cause I’ll never tell you. 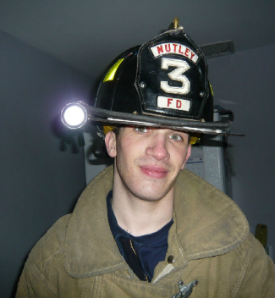 My brother was a great man and fireman. He had a heart of gold and would do anything for anyone. We thought he was okay because he was in departmental counseling at the time of his death. If only we had known just what he was really going though! Nothing could have prepared me for the phone call on the night of September 25th telling me that my sweet baby brother had taken his life. He had become the 1st NYC Fireman to commit suicide post 9/11. Our world was shattered! Please, I beg of anyone reading this who may feel hopeless and suicidal, to reach out and talk to a professional. What you don’t realize is that it is the ones you leave behind who are never whole again. Please don’t be another statistic. Your life matters to all who love you so very much. And, for those who are struggling with the death of a loved one by suicide, please seek help for yourselves. I spent years in counseling just trying to understand WHY!! Trust me it’s the kindest thing you can do for yourself. A letter from parents to their family and friends. I feel the need to tell you Billy’s story. Quite possibly it’s just therapy for me. 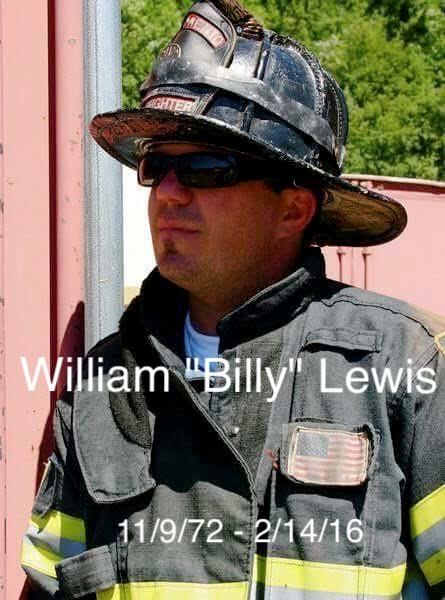 We all have been overwhelmed by the devastating loss of our Billy. Although I do tell people now that Billy has been found! Found by our Lord, found by our family and friends who have gone before him, found comfort, found peace and light. Though the impact started early on, the huge, noticeable changes were obvious about 4 years ago. Billy became very argumentative, angry and frustrated and intolerant. He began moving away from the activities and causes that he had given so much time to as well as some friends. About that time he lost his home due to the horrible mortgage crash and bad advice. About the the union members voted to go on a48 hour work shift. We distinctly remember him saying a number of times that it was a really bad choice. He once said “it will take someone dying” for them to realize this error. Little did we know! He said for many stations it wouldn’t be a problem but for stations like his it would be detrimental. His station was located in Oak Park – the busiest and worst areas in Sacramento and quite possibly California. Stress along with sleep deprivation was inevitably the downward spiral for him. Three years ago he realized he needed help. 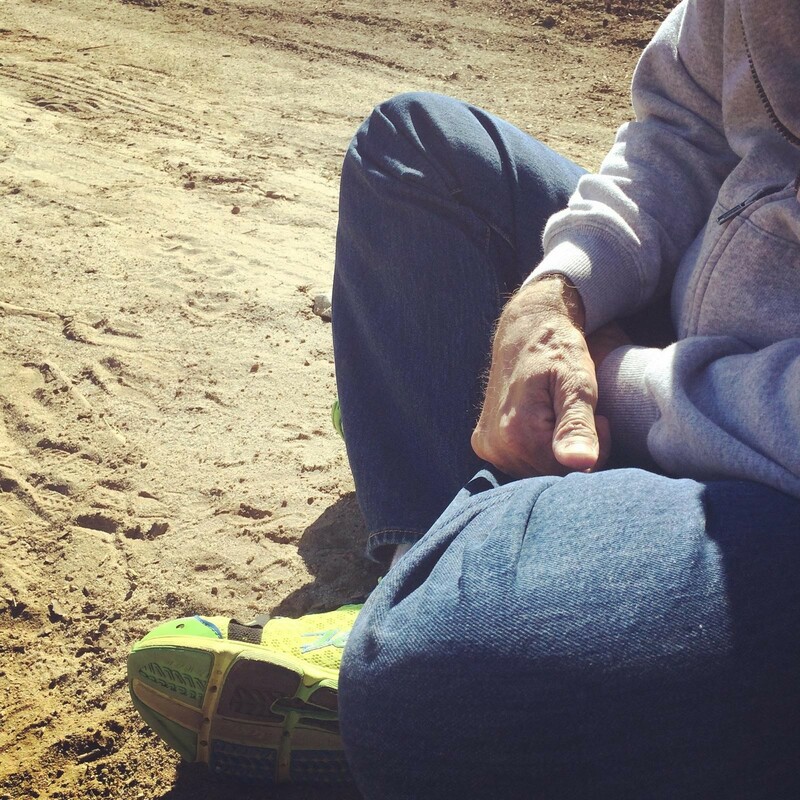 He found a counselor who made him feel comfortable. He was diagnosed with the long term, chronic PTSD. Two years ago, we received a call from his captain. We were told we had to come pick him up – he had a breakdown. We would later find out that there had been numerous horrific calls during his last two shifts. It took him down to his knees. After a few days in our home he assured us that he would see his counselor, he would be “fine” and he went back to his place. The department put him on light duty at the training center. He said there were a couple of guys who were obvious skeptics. Treated him badly and I know that hurt him. He was invited to attend a major PTSD retreat center for first responders. During that time period my brother died. Billy took it very hard. Billy came home from the week long retreat so happy and confident – our son was back! He was on a cloud. He felt he had been given the tools to combat this illness. He was also given the insight to some personal issues and was willing to share with all of us. But as often happens when we are on a “cloud,” reality sets in and it was not meant to last. Sometime later he felt he was well enough to go back to work. Unfortunately, the department sent him back to the same station. The morning he drove up to go back to work he called me, sitting in his truck outside the station crying. He couldn’t go in. I suggested he go to the main office. Later that day we learned he resigned. We couldn’t convince him to seek disability. 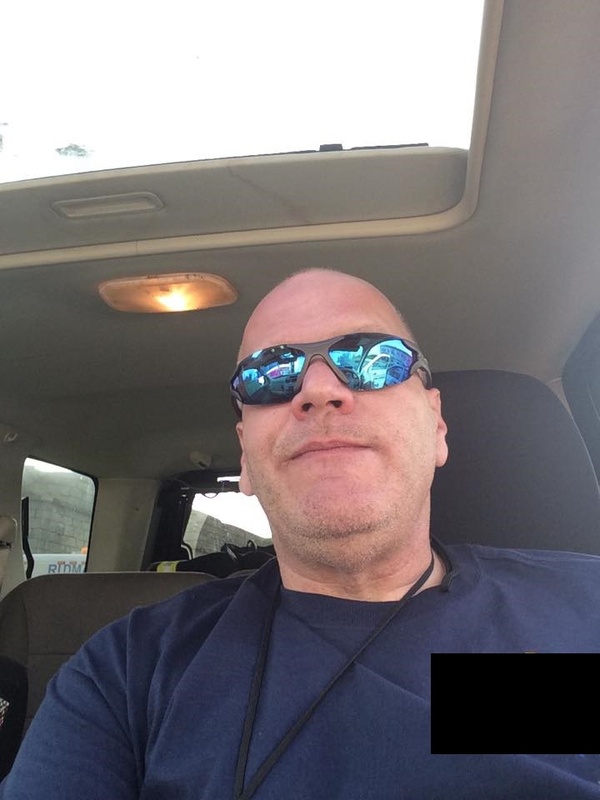 He said if he filed he could never be hired as a firefighter again by any department. He loved his profession and still hoped for a future. PTSD, as I have read eats away at the heart, mind and soul. 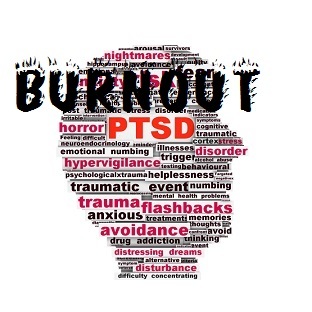 We have also learned just recently from a professional who specializes in PTSD that recent studies have proven that long term, chronic PTSD has a neurobiological impact on the brain. There is damage to the gray matter in 3 lobes of the brain and specific brain regions literally shrink. We were told that it is comparable to those who have had head trauma injuries. This knowledge has had a great impact on us. It has offered a much clearer understanding of both the mental and physical impairment that Billy endured. It is heartbreaking for us. We know now that as the years moved on he just couldn’t purge the horrific memories and his brain just didn’t work correctly. We also believe that Billy’s heart was just too big. He couldn’t forget. Loneliness added a huge element to his life. Without a partner he went home alone. Our hearts have always swelled with pride for Billy not just because he was our son but the profession he decided to pursue – helping others. However, he was more loved and respected that we ever realized. The wonderful memorial along with the messages from all around the country and some from other countries was proof of that for sure! The self medication of alcohol is very typical with the illness. We are proud to say that during the last 6 months and even in death he was sober. However, ultimately, he had no strength to fight the despair when huge new obstacles came up during the last few months of his life. He was tired and lost hope. As I have said over and over – it was the “perfect storm”! I have absolutely NO doubt that Billy would NEVER have consciously hurt us. His heart and mind were broken. And bless his heart – he obviously couldn’t think clearly. I could not live my life without my faith in God and a true deep spirituality that I carry every day. I believe it is imperative to find a spiritual side in our life. It is there inside of us. There is no doubt in my mind that there is a higher Being, my Lord, my God. Many around the world use different names. They worship differently. They have different ideas about the hereafter. Still the huge, vast majority BELIEVE! We pray that you find this inner belief to sustain you when life hands you tragedy. Billy loved being a firefighter. The paramedic part of his career did great harm. He said once that the worst part of his job was witnessing “man’s inhumanity to man”. He DID NOT ask for this burden, this illness, it was handed to him as surely cancer is handed to some and not others! We thank each of you with sincere gratefulness for your support and comfort. 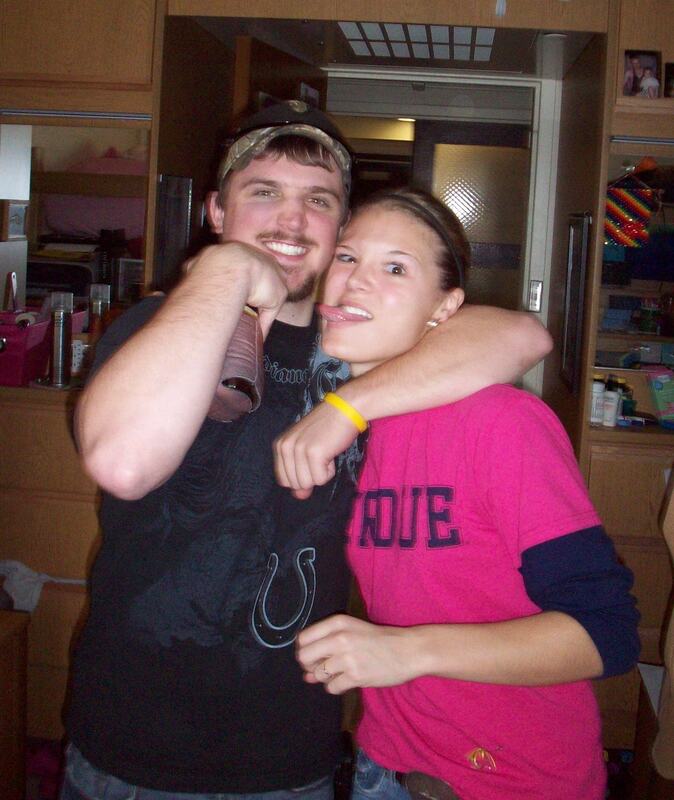 Andrew and I met in April of 2011. A mutual friend introduced us. Some people say that love at first site does not exist, but I knew from the moment we met that he would be my forever. 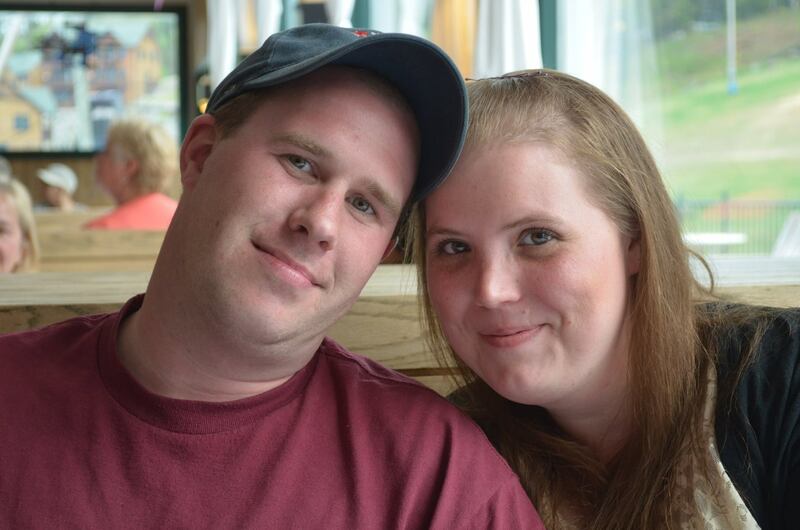 Andrew joined The Bridgton Fire Department in Maine that winter. He did not have a high school diploma but knew he wanted to take his Firefighter 1 and 2 so he went back and took his GED. He completed both Firefighter 1 and 2 and then went on to take his EMT (B) and unfortunately did not complete his pro boards. Andrew joined the Sweden Fire department in 2013 and was promoted a year later to Captain. Andrew was the type of guy that everyone wanted to be paired up with. When he got on scene it was all work for him. He saved his lieutenant from falling into a hole onto a water heater that could have seriously injured him. He was probably dangerous at times, but then again, I think that every firefighter is put in dangerous situations daily. Andrew’s passion was being in the bucket of the ladder truck. He would tell me it was like a video game how he could maneuver the bucket around. His superiors would have to tell him when it was time to take a break, or he just would not take one. Andrew was active with all the fundraisers that both of his departments put on. He was especially active with “Operation Christmas Angels” a local church and the Bridgton fire department teamed up every year to provide Christmas presents in the area for children who would otherwise not have a Christmas. Every Christmas we would take the trucks out and deliver presents. Andrew had a way with animals and children. I think he just had such a huge heart they were just naturally attracted to him. Andrew left behind 3 children of his own and he was such a wonderful daddy. Andrew really started to show his signs of PTSD during the last 2 weeks before he took his own life. He had been sleeping maybe 2 hours a night and vomiting every morning. I would ask him if he was okay and he would say he was fine he was just having nightmares. Andrew also taught extrication classes and was the go to guy for extrication on both of his departments. My friend from high school had passed away in a car accident and she was not discovered until the morning after her crash. Andrew was there and was the one who had to cut her out and come home to tell me about it. She was the one that he would have nightmares about. He would say that the dreams felt so real and that it wasn’t her he was cutting out of the car, it was me. I know I can’t go around with the what if’s. I just hope that somehow his story and the signs that I was seeing can help someone else. If I could say anything to someone that is suffering from PTSD it would be to get help. You need to talk about it, it is not a shameful thing. I know as firefighters it’s just do the job and push everything else aside. Don’t become part of a statistic and leave the people who love you behind. The pain you leave your loved ones is indescribable. I know for myself there will always be a piece of me that died along a long with him that I will never get back. A voice says, “Hi, hello, how are you? Do you have to drive me out of my head? In 1996, as a young fire officer, I aspired to become a HAZMAT Technician (in hindsight, I have no idea why!?). Part of the selection process included a physical fitness assessment in a Level-A (fully-encapsulated) suit. At the time, I barely passed, due to a relatively poor fitness level and rather high blood pressure for a 34-year old. I weighed about 211 and was not in good cardio-vascular shape. I would later find that “192” is my “ready” fighting weight. I started training. And like everything else I enjoy, I would become obsessed with physical training. After a few weeks, I loved running. I started running 5k’s, 10k’s, ½-marathons, and a year later, I would run my first marathon (26.2 miles). I would continue running and training for the next 20 years, eventually competing in over 100 running, biking, triathlon and adventure-type races. Ironman Triathlon (2.4 mile swim, 112 mile bike, 26.2 mile run) was a looming goal that would remain elusive for some 15+ years. I was signed up to do a ½-Ironman distance triathlon in 1999, but the sudden death of a family member cancelled/postponed this race. For the past 20 years, or so, fitness, exercise, etc. has been a big part of my life. Not necessarily for the physical benefits, but I think I did it mostly for stress relief (probably why I did so much!). 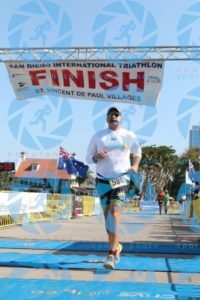 From 2008 through 2012, I competed in four “70.3” half Ironman Triathlons. These were all difficult and I all but gave up on my goal of hearing Ironman Announcer Mike Reilly scream, “Matt Shobert – You are an Ironman!” But, as us Type-AAA, OCD folks do, I signed up, a year in advance, for the full Ironman Distance Triathlon in Tempe, AZ slated for November 17, 2013. This would give me a year to properly train for this arduous goal. The training would have me lifting, running, biking, swimming, etc. a minimum of 12-hours per week, but normally much more than this, all while working 50+ hours per week, as a very busy fire chief. On a typical day, I would awake at 4:45 AM to go for a 7-mile run before work, swim for 45 minutes on my lunch break, and do a 6-mile round- trip run to a 75-minute spin class, at my gym in the evening! I was eating properly and truly became a lean and mean fitness machine at 189 pounds on my 6’1” frame! The year went quickly, and we (Butters and my supportive wife Tami) anxiously arrived in Tempe, AZ, a few days before the race. I was scared sh**less, but I felt like an athlete, ready to go. While this event is a race, most novice athletes, like myself, do it just to finish within the 17-hour cut-off time. This takes the pressure off. I awoke at 3:15 AM on November 17, 2013 to prep for the daylong race. I force-fed myself granola bars, bagels, Naked Juice, etc. in the middle of the night. My heart was racing and I was anxiety-filled and scared. At 7:00 AM the cannon (literally) went off, signifying the start of my Ironman and “Start Me Up” by my boys, the Stones’ was blasting over the loud speakers. I found my zone and started my day. I would complete the swim in one hour and 45 minutes, had a flat on the bike, but finished the 112 miles in 7 hours and 40 minutes, with transitions; this would give me nearly seven hours to finish the 26.2-mile run. Do-able! At 22:00 hours, or 11:00 PM, at night, after starting my venture 16 hours prior, I was 26 miles into the 26.2-mile run! I heard Mike Reilly shout over the PA, “Matt Shobert – You Are An Ironman!” It was a dream come true, finishing in 16 hours and four minutes. All of that work and expense was worth it. There was nothing like it. I still get choked up, when I think about achieving this arduous goal. It’s odd to be proud of yourself. Little did I know, that my newfound fitness level would save my life a few months later. On July 2, 2014, at approximately 09:00 AM, I awoke facedown in the dirt, at a brush clearing operation. My hands tingled and felt numb. I wondered if I was having a heart attack, or perhaps a stroke. I was alone, my crew had not arrived yet, and the brush- clearing Bobcat that launched a fist-sized rock, a distance greater than half a football field that struck me on the side of my face, was driving away, in the other direction. I tried to get up, but couldn’t; it was then that I realized I was bleeding profusely, to death actually, from the bottom of my face, where my mandible or lower jaw had been torn off my head, by the projectile. The doctors would tell me on July 4, 2014, that 98% of the populace would have died in the dirt that day, but my fitness-level saved my life. I always add that my OCD probably helped, as well (sic)! Six major surgeries later, that would include loping off the top of my left hip and bolting it to the steel-plate in my head for a new jaw, thoughts of suicide, a lost career, a traumatic brain injury and serious PTSD, I was on the road to recovery to my new normal. I am in counseling that includes prolonged exposure therapy and EMDR, have taken a weeklong equine therapy experience, seen a Shaman and have been hypnotized. I am on Zoloft and Xanax (trying to wean of the “X”). Exercise! – Lots of it! As a result, I have started doing triathlons again. I recently took a gold medal in the US Police & Fire Championships for an International Distance Triathlon. Luckily, there aren’t too many broken down old guys like me, in my age group! It has been a long journey, with some miles yet to go, but I am thankful for what I have and for being alive. I should have died… but I am starting to slowly enjoy life again! As part of my recovery, I became a certified Ironman Coach. And, I am signed up for Ironman 70.3 in Tempe, AZ this coming October! Again, “when in doubt – reach out!! !” – …It should be OK to be vulnerable. I didn’t know why at first, but as I continued with my physical recovery, certain sights, smells, sounds, etc. would set my brain and central nervous system on fire. A helicopter fly-by, the sound of sirens (music to my ears for the previous nearly 30 years), the shrill of a crying child and being in the geographic region of my accident location were four triggers that would cause unbearable panic and anxiety, which in turn, would lead me to thinking of and visualizing quick solutions to this physical, mental and emotional turmoil. After my first visit to my psychiatrist (BTW – I freaked out on the elevator – not enough air or space – while going up to the THIRD floor! ), I learned that not only was I missing the bottom 2/3’s of my L mandible and half my teeth, but I was also suffering from Acute Stress Disorder (ASD). ASD, if not effectively stabilized, transforms into Post-Traumatic Stress Disorder (PTSD) after about three months. He would prescribe Cymbalta and Xanax, which would and did help fairly quickly. I was in trouble! I was on a liquid diet, mentally and emotionally unstable and not an active firefighter for the first time in nearly 30 years. The entire upper portion of my torso, neck and head was green, yellow or purple from the impact of the rock and associated surgery. I often wished I would’ve died, or wished I was dead. I was either angry, sad, scarred or depressed all the time; sometimes, all four at once. Finding a fire service-oriented PTS counselor was not easy. There is a movement afoot to lose the “D” for Disorder in PTSD, due to its negative connotations; who wants to have a disorder? As previously mentioned, Jeff Dill hooked me up with LFMT Tina Casola, who had done extensive PTS work with returning military vets and her office was about 30 miles from my house. She helped me process, understand and maneuver this ASD stuff, which was making the transformation into PTS. The helicopter rotor noise and other issues took me right back to the accident date and time. Even though I was unconscious during my helicopter ride, I could subconsciously hear the rotor for my 20-minute flight from the Level 2 to the Level 1 Trauma Facility. Over the course of the next year and roughly 18 visits, Tina would take me to hell and back numerous times, with “a pom-pom in one hand and a whip in the other!” She uses a counseling process called Cognitive Behavioral/Prolonged Exposure Therapy. My synopsis of the therapy: Through a very calculated and strategic process, if you are afraid of heights, you go bungee jumping; or, if you’re afraid of spiders, you spend the night in a cave. At one point, we were sitting in the dirt (at the precise location, where on July 2, 2014 at 09:00 AM, I lay unconscious, bleeding to death), looking for any of my teeth that may not have gotten picked up on accident day (photo)! It was a very difficult process, but it gave me hope! Something that was long gone. I eventually visited the Level 2 Trauma Center, where three of the staff broke down into tears when I walked into the ER. After a tour of the ER and a better understanding of what occurred on that fateful day, I went out to the helicopter LZ and sat down, by myself and cried for 10 minutes. A person can go a week or 10 days without food, four days or so without water, four to six minutes without oxygen, but it’s nearly impossible to live a single second without “hope.” Tina gave me hope! I am still seeing her, but on a less frequent basis. We are trying to get the word out about PTS in the Fire Service and the help that is available. Note: If you would like Matt, Tina or both of them to share this story at your location, please let us know, we will try to arrange for that. Are we addicted to the Job? It is a simple question. Are we addicted to our jobs and is there a consequence that we pay because of our dedication? As you know I founded Firefighter Behavioral Health Alliance in 2011 to track and validate our brothers and sisters who have taken their lives and to never forget them or their families. Yet, these four years of traveling across the U.S. and Canada has afforded me the opportunity to theorize on some issues because of the thousands of people we have seen and spoken with. So, this is my theory only, but hopefully it will spark some thoughts and ideas within each of you that this would apply to. I started many years ago as a paid on call FF for Rutland-Dundee FPD and went to career in 1995 for the newly established Palatine Rural FPD in IL. I can recall many of my new brothers and sisters had outside jobs. Their talents of construction, roofing, landscaping, painting and other jobs kept them busy while earning some extra money. We would discuss how other FFs in surrounding departments had similar jobs so if you needed a tree removed you would call “Joe” at a neighboring department. Lately what I have seen through my travels, is an issue that perhaps is adding to the already stressful job we have and creating more and more behavioral health issues for our brothers and sisters. What is the issue? I have seen more firefighters and EMTs taking second jobs in other fire departments and EMS organizations. They leave one job and head to the second one for another shift, be it a twelve hour or twenty-four hour shift. They are constantly running fire and EMS calls. My concern is, when do you take time to process and rejuvenate your brain based on all the horrific calls that you see? I commend those for their dedication but I also have concerns that burnout could become a real issue and maybe sooner than later. How many of you have spent the day after shift reflecting on calls you went on the previous day? The days off, especially for EMS, are there for you to recover not only physically, but mentally and emotionally. If there are no gaps between how does our brain ever take a day off from the stress of the jobs? In the coming year FBHA will be looking more into this issue but I wanted to throw this out there for you to comment on and tell me if you agree or disagree with my theory.